Taylor Wimpey East London’s Arena Place development in Colchester is one of this leading housebuilder’s most prestigious redevelopment schemes in the country. 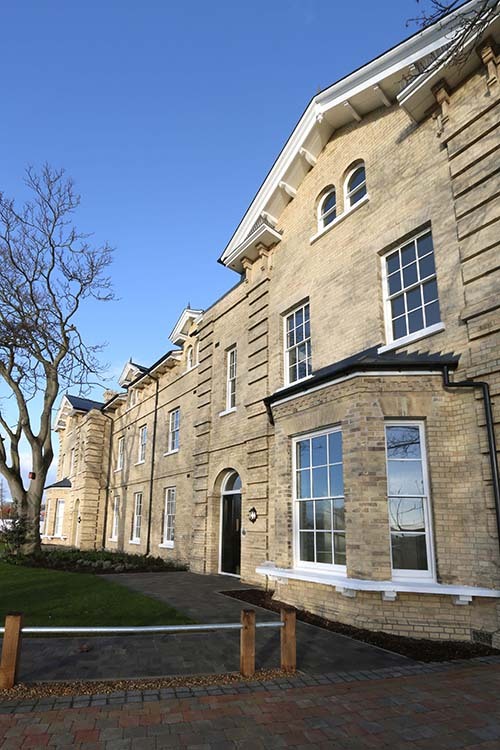 Based on the site of the former Colchester Garrison, the historic buildings have been retained and refurbished, respecting the existing fabric and minimising interventions and alterations where possible, to create beautiful new homes. The development has a fantastic choice of one, two, three and four bedroom properties, including the uniquely designed one bedroom Plot 33 apartment at Domitian Court. Ideal for first time buyers, this luxurious, refurbished apartment combines traditional characteristics with modern high-specification appliances, to meet the demands of busy contemporary lifestyles. Among this property’s stand-out features are a fully-fitted kitchen with integrated appliances, underfloor heating and beautiful bay windows to both the open-plan kitchen/living/dining room and the bedroom. The new homes at Arena Place are available with Help to Buy, making them more accessible to first time buyers.